Adam Laser is a principal and chairs the firm's Real Estate Group. Mr. Laser has extensive experience in real estate finance, with a particular focus on the structuring, origination, negotiation, and workout of commercial mortgage loans. 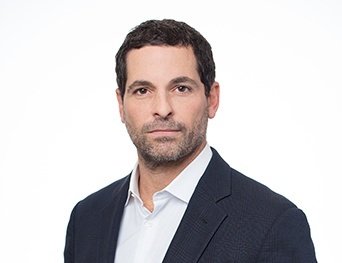 His experience includes permanent, bridge and construction mortgage lending; mortgage origination for commercial mortgage-backed securitization programs, mezzanine financing, syndications, ground lease financing, workouts and restructurings. Mr. Laser's practice focuses on the representation of financial institutions and other providers of debt and equity capital with respect to a broad range of real estate asset classes throughout the United States, with a strong expertise in hotels and senior housing. In addition, Mr. Laser regularly advises clients with regard to the acquisition, disposition, and leasing of real estate throughout the United States. Mr. Laser is admitted to practice in Illinois. He received his law degree in 1997 from Northwestern University and his B.A. in political science in 1991 from Northwestern University.